Reports say that four new shows with brand-new concept will be launched in July. Star Plus has decided to revamp its content and in this bid, it will let go some of its daily soaps which are performing poorly in TRP race. Ishqbaaaz, Ikyawann, Dil Sambhal Jaa Zara, Meri Durga and Namkarann might go off air from June. By pulling down these shows, Star Plus will introduce some fresh contents. A report in Spotboye.com claims that dismal TRPs is the main reason behind such a strict decision. Ishqbaaz was once the most popular and loved show on the channel but now it has lost the connection with the audience. 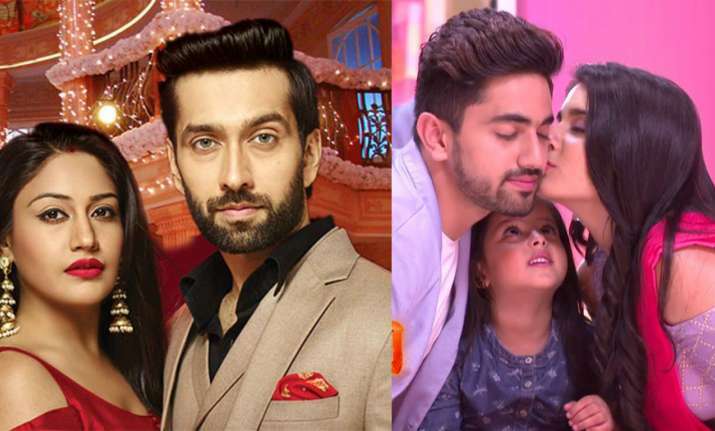 The tale of three Oberoi brothers was quite a hit for the crackling chemistry between Shivaaye (Nakuul Mehta) and Anika (Surbhi Chandana). However, even their love story couldn't save the sinking ship of Ishqbaaz. A spin-off named Dil Boley Oberoi was launched considering the show's huge popularity but was soon pulled off-air. Directed by Mahesh Bhatt, Namkarann began in 2016 with the story of 10-year-old Avni, an illegitimate child. The show which was inspired by 1998 film Zakhm, took a 15-year leap and served a fresh love story between Aditi Rathore and Zain Iman. But even this couldn't keep the audience glued and hence it is likely to say bye-bye in June. Same thing with Ikyawan starring Prachi Tehlan-Namish Taneja and Dil Sambhal Jaa Zara featuring Sanjay Kapoor and Smriti Kalra. Both the shows were launched in November and October respectively but couldn't excite audience to be on the TRP list. There is a high possibility of both the shows going off-air. Also, Meri Durga which tells the story of a girl aspiring to be a professional runner opened with decent fan following but couldn't maintain its pace in TRP race. Reports say that four new shows with brand-new concept will be launched in July. One of them is a spin-off to Yeh Hai Mohabbatein and a remake of Korean Show, The King's Daughter. Shakti Anand, Gracy Goswami, Ritu Barmecha and Hiba Nawab will pay titular roles in the latter.